India’s Polar Satellite Launch Vehicle lifted off from an island spaceport on the country’s east coast Friday morning, quickly climbing into clear skies before navigating around the Island of Sri Lanka in a pre-programmed maneuver and then heading south over the Indian Ocean to drop an international assortment of 31 satellites off in orbit – including the first satellites for Latvia and Slovakia. The four-stage PSLV lifted off from the First Launch Pad at the Satish Dhawan Space Center at 3:59 UTC under the power of its massive solid-fueled core stage and four boosters. Two more boosters joined in shortly after liftoff while PSLV was still heading south east, initiating a powered turn when the second stage’s Vikas engine was burning and the rocket had cleared Sri Lanka. 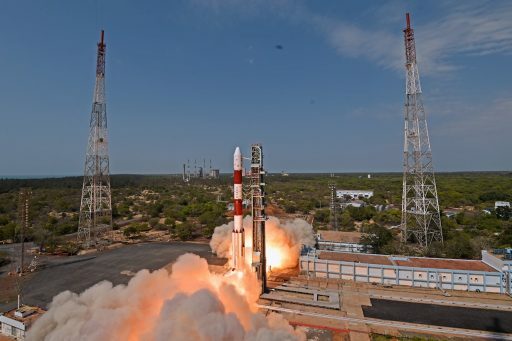 PSLV dropped its fairing and fired its third stage ahead of a final push into a 500-Kilometer orbit by the rocket’s fourth stage that set up for a fast-paced six-minute satellite deployment to send on the way a diverse group of satellites from 2.4 meters to ten centimeters in size. Leading the way was India’s 712-Kilogram CartoSat-2E Earth-Imaging satellite that made its way into orbit as the primary payload of Friday’s flight, accompanied by four microsatellites from Japan, India, Italy and Latvia and 26 CubeSats ranging between one and ten Kilograms in mass for a cumulative secondary payload mass of 243 Kilograms. Friday’s launch marked India’s fourth of the year, following in the footsteps of the record-setting PSLV mission in February that lifted a total of 104 satellites, the secretive delivery of India’s South Asia Sat atop a GSLV Mk.II and the first orbital test flight of the country’s most powerful rocket, the GSLV Mk. 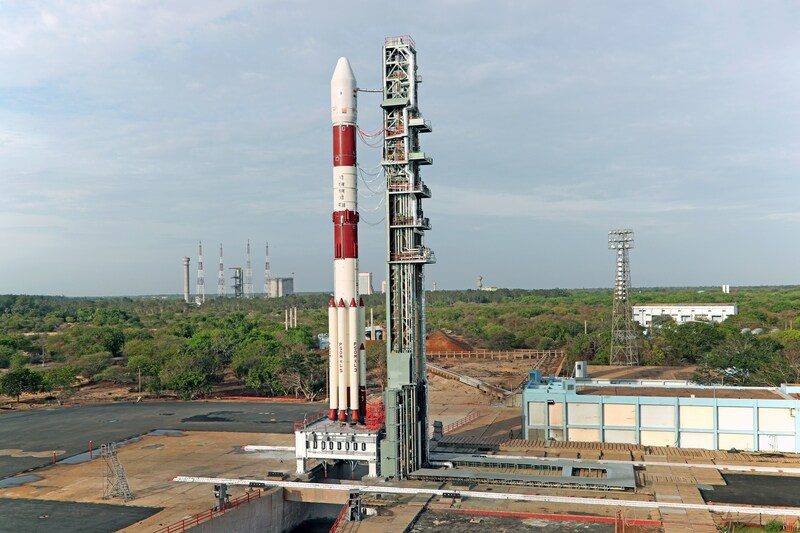 III just 18 days prior to PSLV’s C38 mission – matching the country’s previous record for the shortest turnaround time between orbital space shots. 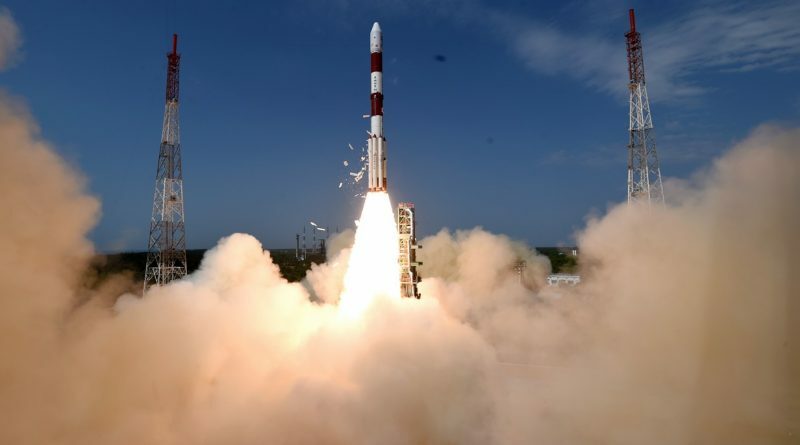 Although Friday’s launch did not set a new record, safely deploying 31 satellites into orbit is by no means a trivial task but one the Indian Space Research Organization has taken on to achieve a unique role on the international launch market for large rideshare missions that are among the most cost-effective ways to send a small satellite into orbit. 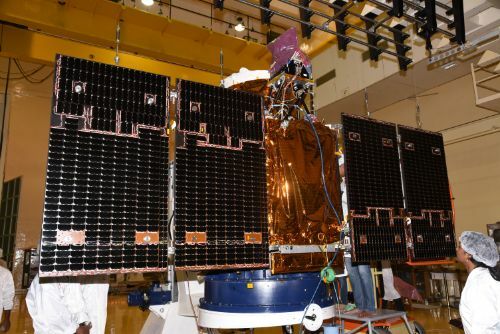 CartoSat-2E, only identified as a ‘CartoSat-2 Series Satellite’ by the Indian Space Research Organization, is India’s sixth CartoSat Earth-imaging satellite and the third to launch in a period of 12 months, reinforcing the country’s Earth-imaging capabilities both for military reconnaissance and civilian applications. 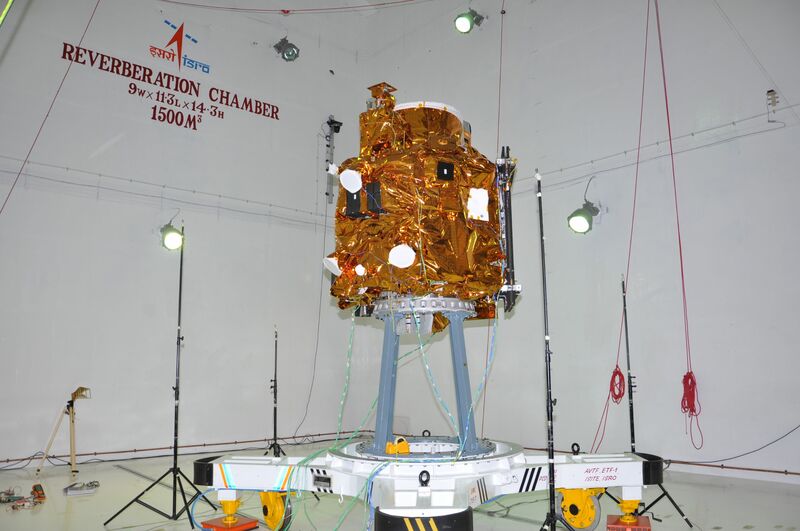 Standing 2.4 meters tall, CartoSat-2E hosts a sharply-eyed instrument comprising a 70-centimeter telescope and a pair of detector modules to collect panchromatic black-and-white imagery with a ground resolution of 0.6 meters and multi-band color images at a two-meter resolution. 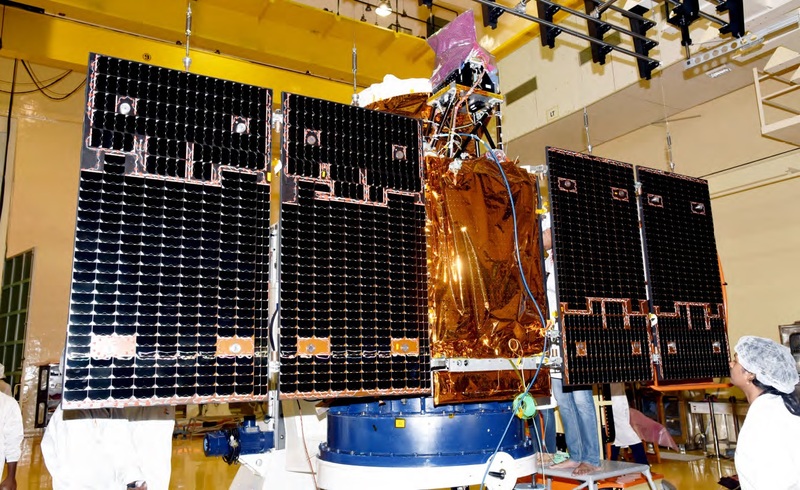 Per reports, CartoSat-2E will be directly operated by India’s defence forces in a program that is designed for dual-use of all its satellites to enable quick-tasking and rapid revisit capability for both, civilian and military users. The last three CartoSat craft went into lower orbits than their predecessors to further boost their image resolution and bring out more detail of features on Earth’s surface, whether man made or natural. Specific applications of CartoSat data are found in cartography, urban planning, environmental monitoring, resource management and disaster relief. Riding shotgun with CartoSat-2E were a total of 30 secondary payloads of fifteen countries with four non-CubeSat small satellites separating after the primary payload followed by a flood of CubeSats. 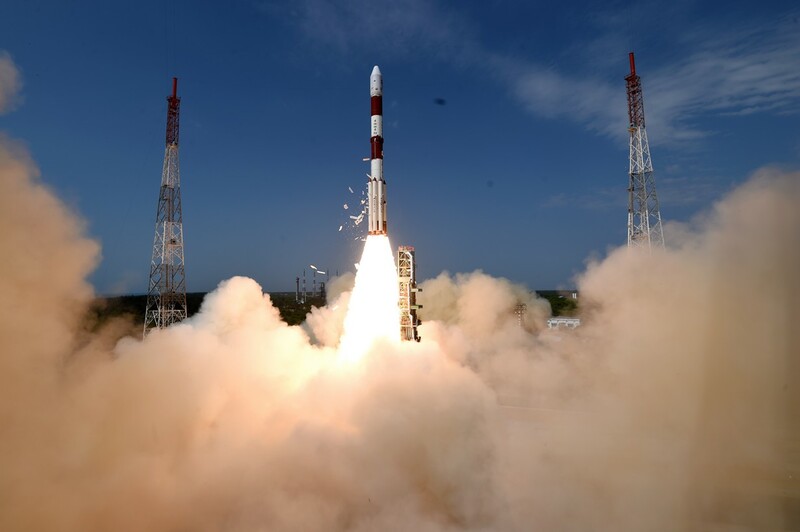 According to information received by the Indian Space Research Organization from the various sensors on the rocket, all payloads were released as planned – though it might take hours for all to check in with ground stations and possibly weeks to work through the cataloging process. CE-Sat-1 is a 60-Kilogram satellite built by Canon Electronics in a bid to put Canon’s extensive expertise in optics and camera technology to use to realize a low-cost satellite platform for high-resolution Earth-imaging by taking a slightly modified Canon EOS consumer camera and coupling it to a 40-centimeter Cassegrain telescope for a ground resolution of one meter. Canon cites the development cost of the satellite as $10 million and hopes the product can become a contender on the commercial market for companies interested in obtaining high-resolution imaging capabilities within the framework of a cost-effective small satellite mission. NIUSAT, the second Indian satellite on Friday’s launch, weighed in at 15 Kilograms and hosts a multi-channel imager to obtain Earth imagery at a 25-meter resolution to assist in agriculture, fishery and disaster relief – also debuting a new modular satellite design capable of hosting a variety of payloads and hoped to build a foundation for operational remote-sensing constellations in the future. 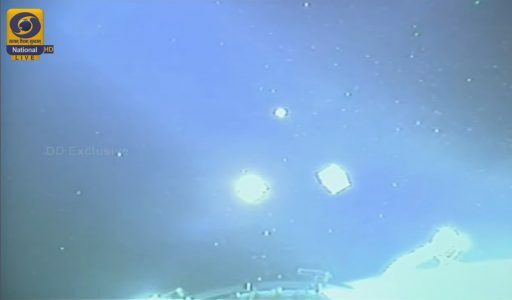 The other two non-CubeSat satellites on Friday’s launch were Max Valier from South Tyrol and Venta-1 from Latvia, both built with support from German aerospace companies and launched in a stacked fashion, to go their separate ways shortly after launch for two very different missions. Venta-1, mostly dedicated to technology demonstration, carries a pair of ship-tracking AIS receivers, electronics to be tested in space and space-to-space communications equipment to link up with TDRSS and Iridium. Max Valier carries the smallest spaceborne X-ray telescope to date, tasked with an all-sky scan to obtain high-resolution X-ray spectra and moderate-resolution images to be made available for amateur astronomers and professionals alike. 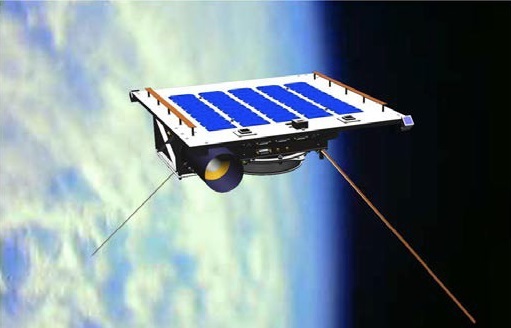 PSLV’s wave of CubeSats was led by CICERO-6, the only 6U CubeSat on board the mission, inaugurating a new constellation of satellites operated by GeoOptics that host receivers for the GPS and Galileo global satellite navigation systems for atmospheric occultation measurements to collect weather data and detection of backscattered signals for ocean/ice surface properties. 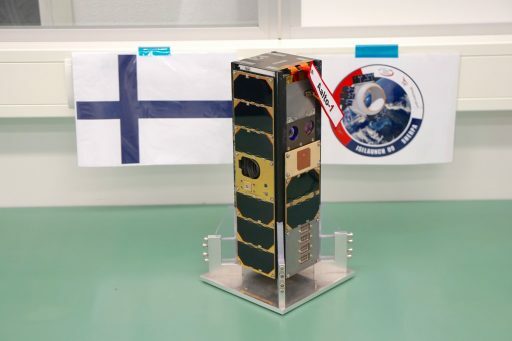 Aalto-1, considered the first Finnish satellite but the second to be deployed to space, is a 3U CubeSat hosting an experimental Fabry-Perot spectrometer to capture multi-channel spectral images that could contribute to Earth and Space Science on future missions. 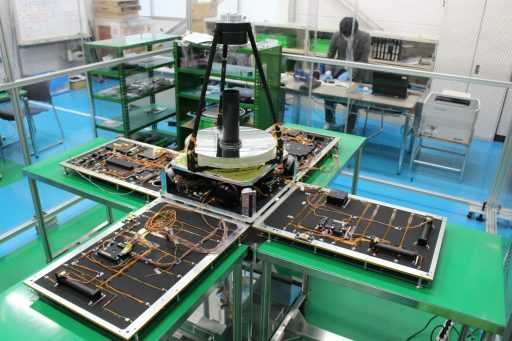 The satellite also studies the space radiation environment with a purpose-built sensor and a 100-meter long plasma brake will be put to the test as a device for deorbiting a small satellite at the end of its mission. D-Sat, the first CubeSat featuring a solid rocket motor, will complete a two-month free flight testing a new emergency message protocol prior to conducting its intentional deorbit maneuver to demonstrate a solid-fueled retropropulsion device that could be one answer to mitigating the growing population of non-functional satellites in Low Earth Orbit. The satellite also tests a novel device that could provide advance warning of falling space debris to aviators and local populations. Riding on PSLV C38 was the second constellation segment of QB50, an international satellite project coordinated by the Van Karman Institute, deploying 36 satellites into Low Earth Orbit as a loose constellation for technology demonstrations and an unprecedented multi-point measurement campaign in Earth’s lower thermosphere, the most poorly understood region of Earth’s atmosphere that can not be accessed by traditional satellite missions or remote sensing instruments. 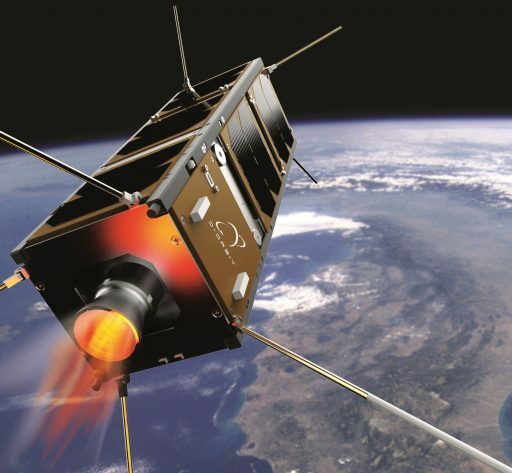 The eight QB50 satellites on the C38 mission are from Austria, Belgium, the Czech Republic, Germany, the U.K., Italy, and Lithuania – underlining the QB50 project as an international initiative that enables satellites from various institutions in Europe to reach space. San Francisco-based Spire Global had eight satellites on the C38 mission, joining the company’s Lemur-2 constellation tasked with GPS radio occultation measurements to collect atmospheric pressure, temperature and humidity profiles for weather forecasters and climate researchers plus worldwide ship-tracking data offered on the commercial market. ‘Three Diamonds‘ set free by PSLV C38 are three 3U CubeSats building the pathfinder segment for Sky and Space Global’s future low-orbiting constellation of 200+ CubeSats delivering S- and L-Band communications to connect four billion people that reside in underserved countries. Set for a demonstration mission, the Three Diamonds will test out the space-to-ground and inter-satellite links for communications as well as innovative aspects of large constellation like autonomous orbit control and constellation management. 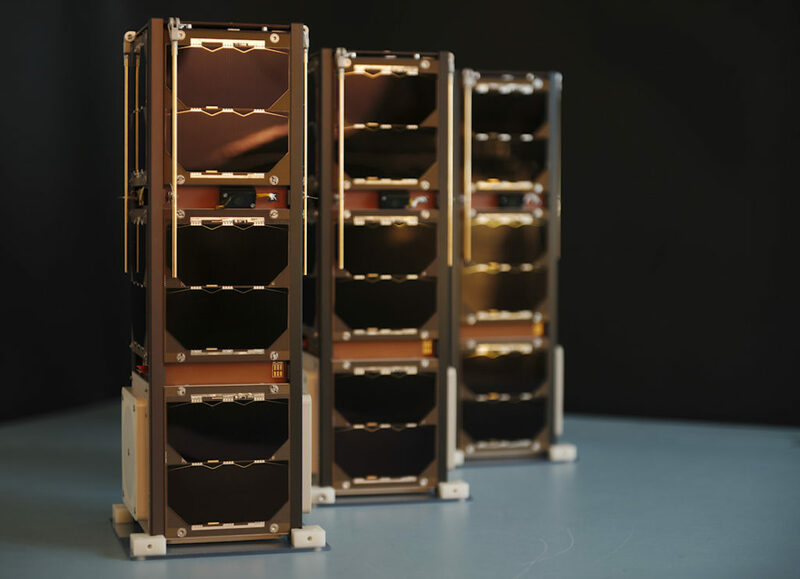 Tyvak-53b, built by Californian NanoSatellite builder and launch services provider Tyvak Nano-Satellite Systems, is also a 3U CubeSat, completing a demonstration of a new method for satellite deorbit at end-of-life. Rounding out the PSLV C38 CubeSats are three 1U CubeSats – Robusta-1B from France, studying the impact of space radiation on electronics, Slovakia’s skCUBE, hosting a low-resolution camera and Low Frequency detector to study the ionosphere; and Chile’s SUCHAI that hosts different sensors including magnetic and electric probes. PSLV, India’s flagship orbital launch vehicle since the 1990s, enjoyed a smooth 28-hour countdown ahead of a 9:29 a.m. local time liftoff on Friday on its 40th mission. 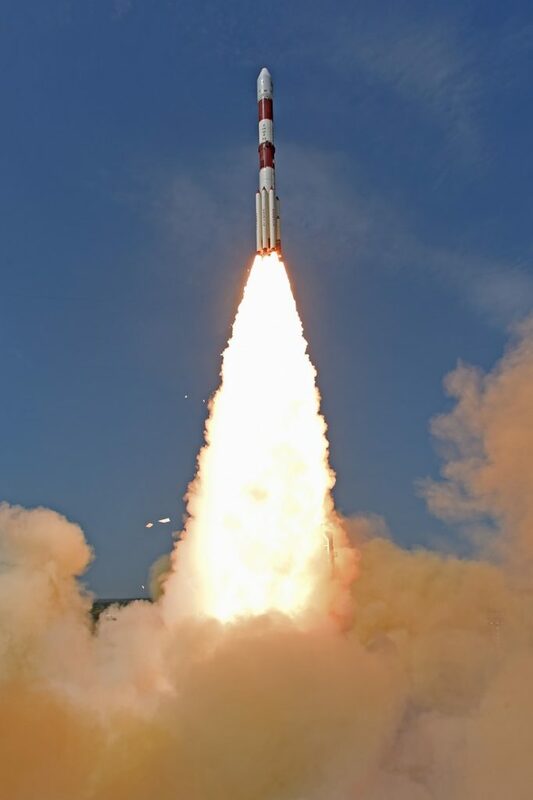 Burning 1,600 Kilograms of propellant per second, PSLV thundered off powered by its massive solid-fueled third stage and four of its six Solid Rocket Boosters, the other two joining 25 seconds into the flight to increase the rocket’s thrust to 803 metric ton-force. As is customary for Sun Synchronous Missions out of Satish Dhawan, PSLV flew a Dogleg Trajectory – initially heading south east to clear the island of Sri Lanka before making a guided turn to fly south west to reach the planned orbital inclination of 97.44 degrees. The ground-lit boosters burned out at T+50 and dropped away 20 seconds later, followed by the air-lits 92 seconds into the flight after each of the 13-meter long SRBs burned through 12.2 metric tons of propellant. The core stage consumed 138 metric tons of propellants in one minute and 50 seconds when thrust tailed off followed by the pyrotechnic separation of the 20-meter long stage and the ignition of the 81,500-Kilogram-force Vikas engine on the second stage 68 Kilometers in altitude. PSLV entered closed loop steering during the second stage burn to dynamically adjust its flight profile based on measured navigation data. The two fairing halves dropped away two minutes and 37 seconds into the mission when PSLV had passed 120 Kilometers in altitude and the hypergolic-fueled second stage handed off to PS3 at 261 seconds with the third stage lighting up its solid rocket motor moments later to generate 25 metric tons of thrust for a 113-second burn. Upon third stage tail-off, the vehicle completed two minutes of coasting before dropping the PS3 and firing up the twin L-2-5 engines of PS4 that fired for 456.4 seconds with a thrust of 1,500 Kilogram-force, burning over two metric tons of self-igniting propellants. 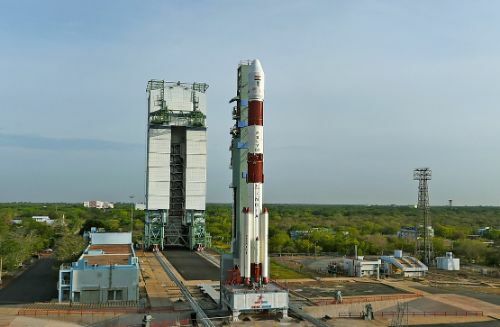 Injection was reported to be on target, into an orbit a little over 500 Kilometers in altitude from where CartoSat-2E will maneuver to a precise 505-Kilometer Sun Synchronous Orbit. 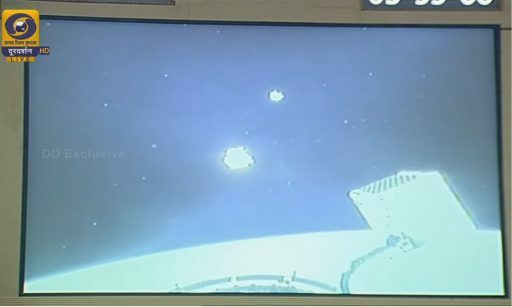 Impressive camera views came from the fourth stage as propulsive flight ended and the delicate satellite separation sequence began, starting with CartoSat-2E that was followed in close succession by NIUSAT and CE-Sat 1. 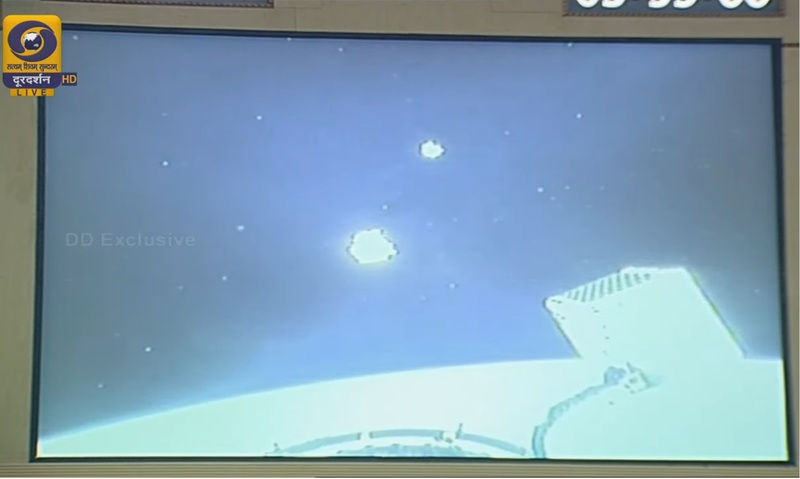 The fourth stage then re-oriented for the release of the remaining two micro satellites and 26 CubeSats. Deployment of all 31 satellites was confirmed when the PS4 arrived within range of an Antarctica tracking station, marking another successful day for ISRO. With the release of its 31 passengers, the PS4 stage headed off on an extended mission of ten orbits or 15 hours to demonstrate it is capable of executing advanced multi-orbit missions. ISRO carried out its first multi-orbit mission last year and efforts are underway to prove PSLV can deliver satellites to more than two orbits in one go in order to make the launcher even more attractive on the international market that will see quite a number of new vehicles come on line in the coming years, including new additions as well as seasoned pros like Soyuz that are now available for rideshare missions. Per the extended mission plan, PS4 will complete a pair of six-second main engine firings followed by a longer burn of 40 seconds to deliver detailed performance data with particular focus on the start-up characteristics of the twin engines and propellant management over extended coast phases. The three orbital maneuvers are expected to lower the fourth stage’s perigee altitude to around 350 Kilometers.